For the body represented on the diagram, determine the reactions of the supports. 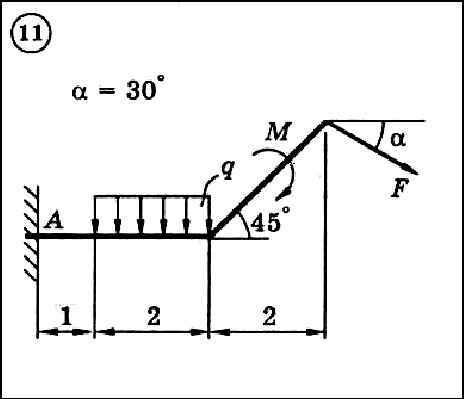 The loads shown in the diagram have the following values: load weight G = 10 kN, force F = 10 kN, moment of force pair M = 20 kNm, intensity of distributed force q = 5 kN / m, and qmax = 5 kN / m. The dimensions are in meters. Body weight should be neglected.